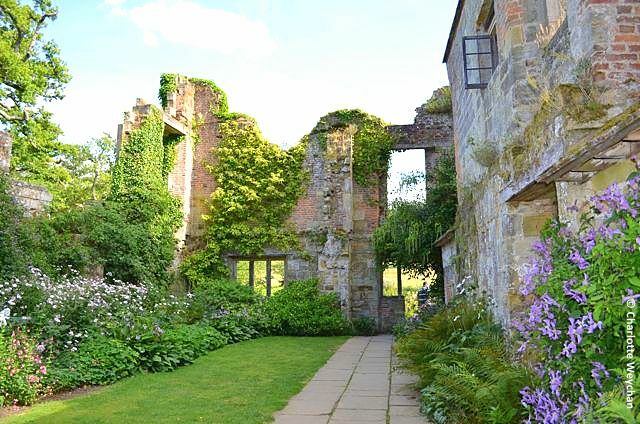 What better garden to visit, than the grounds of a romantic castle on a glorious day? 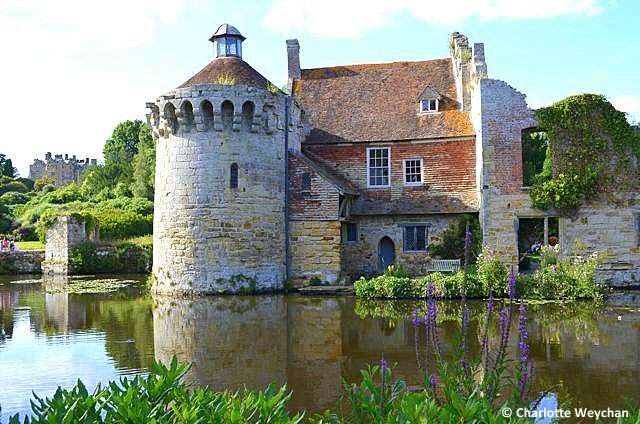 Scotney Castle in Kent, with its fine views over the Bewl Valley, is spectacular at any time of year, because of the undulating terrain dividing the main house from the medieval moated ruin at the bottom of the valley. Particularly memorable in spring time when the rhododendrons and azaleas make a sea of colour, but just as eye-catching at any other time of year and when the leaves begin to change colour. The manor was dis-assembled by former owner Edward Hussey for effect! 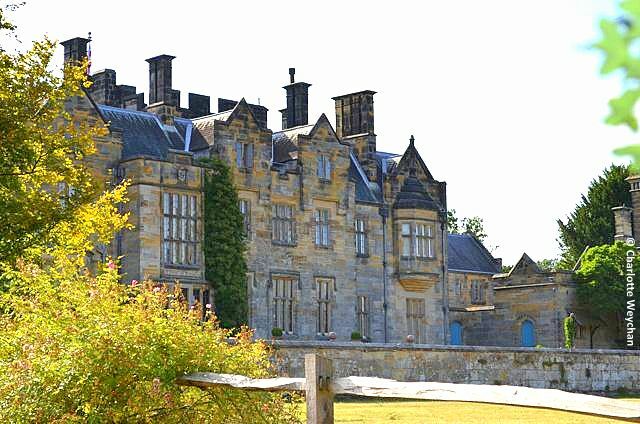 The moated house (above) proved to be too damp to live in, so in 1836, Scotney's owners invited William Sawrey Gilpin, nephew of Picturesque-style creator, William Gilpin, to their home, and work began on the new house up the hill, which opens to the public today. But it's the medieval property in the valley that causes visitors to gasp as they see it reflected in the circular moat, even though the walls were removed for effect by former owner Edward Hussey, who wanted to view a romantic landscape from his new hilltop home. 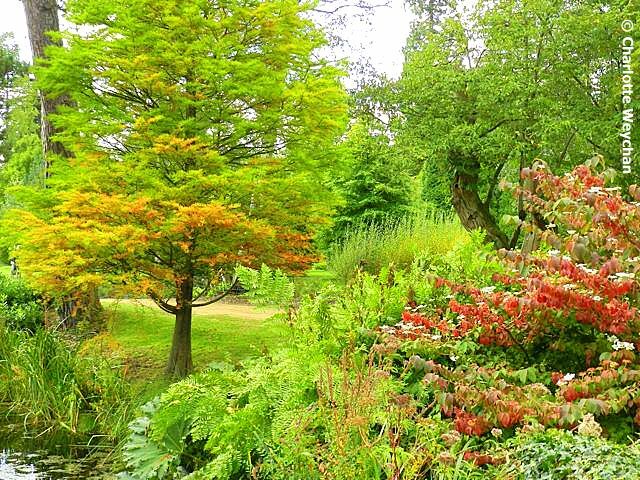 The grounds at Scotney comprise many acres of woodland, which suffered badly in the great storm of 1987, resulting in a complete replanting by the National Trust in the last 30 years. The results are impressive given the extensive use of rhododendrons and azalea, which make a colourful and sweeping landscape and allow glimpses of the moated manor below to maximum effect as you wander down the valley. Both spring and summer seasons offer spectacular colour displays. Christopher Hussey, well-known art historian and grandson of Edward Hussey III, who built the new house on the site, using stone from the quarry, resided here for nearly 20 years with his wife Betty, during the 20th century, and left the property to the National Trust on his death in 1970. This was in keeping with his family motto: "Vix ea nostra voco", meaning "I scarcely call these things our own". 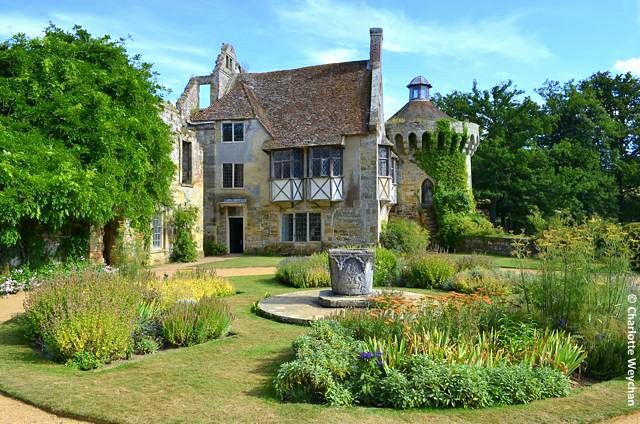 Today the Scotney estate offers visitors the chance to tour the house at the top of the hill, with its magnificent views over the surrounding countryside; the chance to walk in undulating countryside; an opportunity to explore the former quarry, which has been turned into a garden and walk around the ruins of the medieval manor, with its views over the moat. It would be hard to find a more romantic setting than this, especially early in the morning, when the mists rise off the water or on a beautiful summer 's evening. Both house and garden are open daily until the beginning of October, but the estate remains open throughout the year from dawn to dusk. 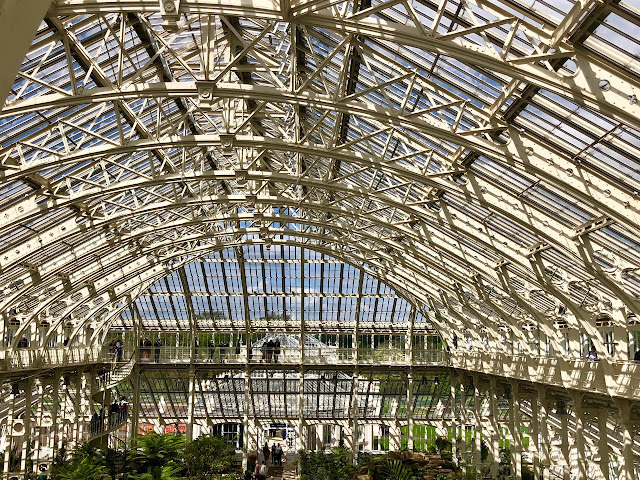 Admission to the garden is £8.00 for adults and £4.10 for children (2013 prices). The whole estate extends to nearly 800 acres, and offers wonderful winter walks. 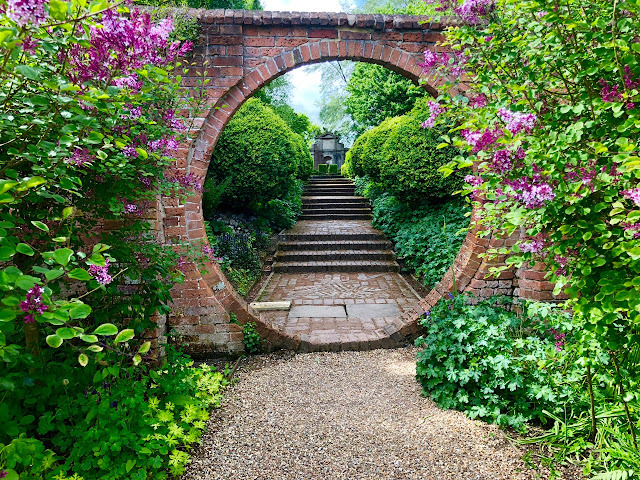 It is also close to Sissinghurst if you want to visit another romantic castle garden with an interesting history. Both belong to the National Trust and are free to members. What a beautiful shot in your header! 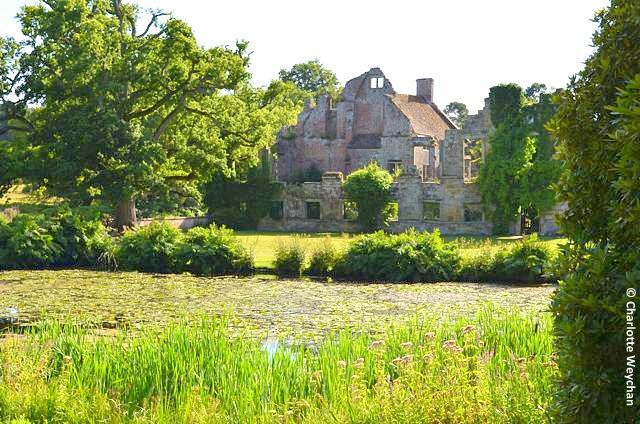 And Scotney seems like a great destination. You are equally talented with landscapes and macros! Lovely! Thanks for the tour yet again! The moated house is beautiful. My god! what a place!!! the water near the tower stole my heart.